Sadly, World Elephant Day on August 12 is a stark reminder that there are not enough modern elephants in the world, and that we must take action — stop murdering them — if we want to avoid seeing today’s Proboscidea go the way of their Pleistocene predecessors the mammoth and mastodon. 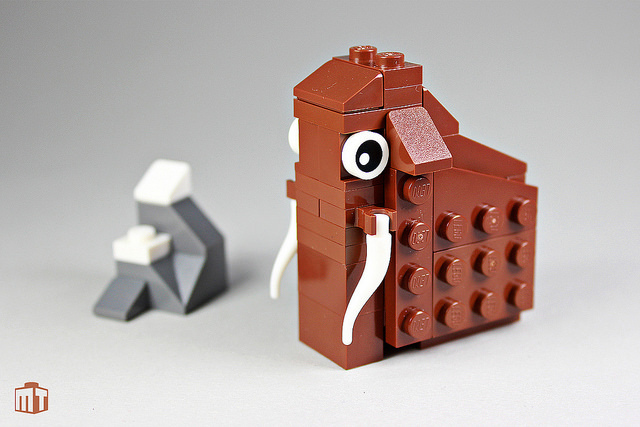 Jens Ohrndorf has been building little LEGO animals for the past few months, and his latest batch includes this impossibly adorable woolly mammoth. With just a few pieces, Jens has captured the shagginess and undeniable majesty of this Ice Age creature. The miniature snowcapped mountain and subtle gray background add immeasurably to the presentation. As with any ecosystem, the mammoth steppe biome would not be complete without other megafauna. I’m not sure Jens intended for this pair of bison to go with the mammoth, but they complement it perfectly. 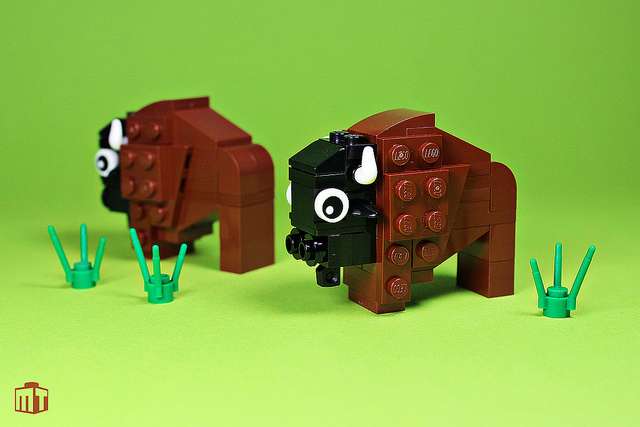 See more of Jens’ LEGO animals in his album on Flickr.